Extender overview | Creditech Solutions Inc.
Facilities to improve the quality of your Atlantis data. Extender takes each of the dollar amounts on one of the Atlantis changes reports (Sub-total by day, sub-total by month or Grand Totals for the appropriate accounting period / location) and “maps” each amount to either a QuickBooks item or a general ledger account. Before you can start using Extender, you must “map” all existing revenue codes in Atlantis to the appropriate location in your bookkeeping system. This one time effort allows Extender to accurately and quickly take all of the financial information from Atlantis and put it in QuickBooks or other accounting software. Extender also warns you whenever someone adds a new revenue code to Atlantis or changes the description of an existing code. 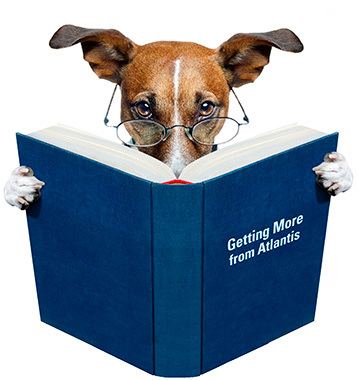 Since many pet care facilities have 100 – 200 charge codes in Atlantis, without Extender, the potential for errors and inconsistencies transferring the data is very high and the process is very time consuming. Extender has an optional module that will take the detail of your retail sales and map these to QuickBooks items. This module is a huge timesaver for those pet care facilities that have a significant retail component. Extender can output your accounting data in a variety of ways. The most straightforward format is in the form of a report (or Excel file) showing all of the individual amounts grouped by general ledger account. So you can use Extender even if you don’t use QuickBooks. Extender can help save time and reduce errors even if you don’t use QuickBooks or if you use QuickBooks On-Line Edition. However, if you use a QuickBooks desktop edition, Extender can put the entries right into QuickBooks even if your QuickBooks data are in another location! See Transfer data to QuickBooks for details. Extender does much more than simply help you with your accounting. For more information see Other features. Questions? Have a look at our FAQs and our document library. Watch this 15 minute video. Be sure to watch in full screen mode.